Will your pure (or warm) white LED Christmas lights match the lights I bought somewhere else? 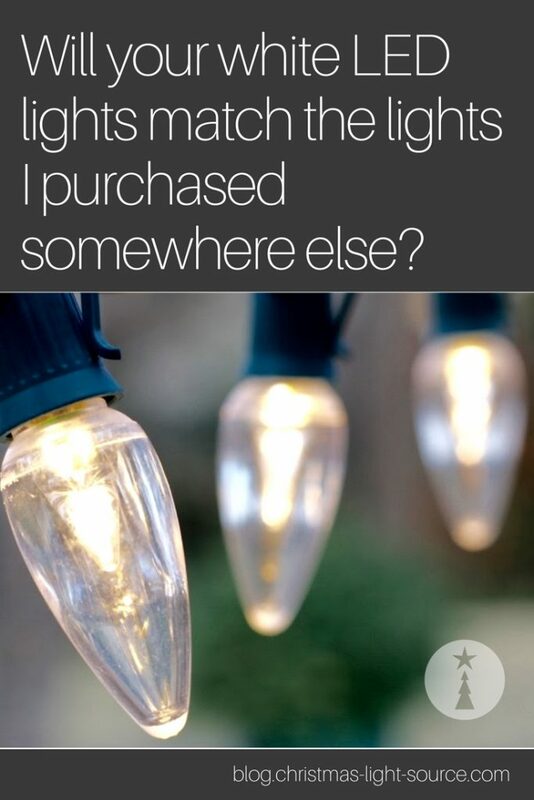 While they might be in the same color family, our lights will likely not exactly match lights from another store by the same color name. Why is that exactly? Let’s move on to the long answer. Traditional glass, incandescent light bulbs have a specific filament and a specific inert gas filling the bulb resulting in a consistent color across all similar bulbs. This means that 7 watt, 20 watt, and 100 watt lights all have the same lovely, yellow tone of light. LED lights are based on a completely different type of technology that results in a wide range of available colors of white and color variation within similar color families. So, our warm white may not be the warm white someone else is selling. 1. Different factories make varying colors of white whether they are described as pure white or warm white. The terms refer more to a family or range of white rather than a specific color. 2. There are two versions of “warm white” LED lights. A standard warm white and a more yellow-white known as “sun warm white.” All of the warm white strings and bulbs at Christmas Light Source are the “sun warm” version. We chose this direction because we think it blends nicely with traditional incandescent lights. 3. LED light strings “burn in” after a couple of months. White LED lights of either the warm or pure variety will very slightly change color with use. 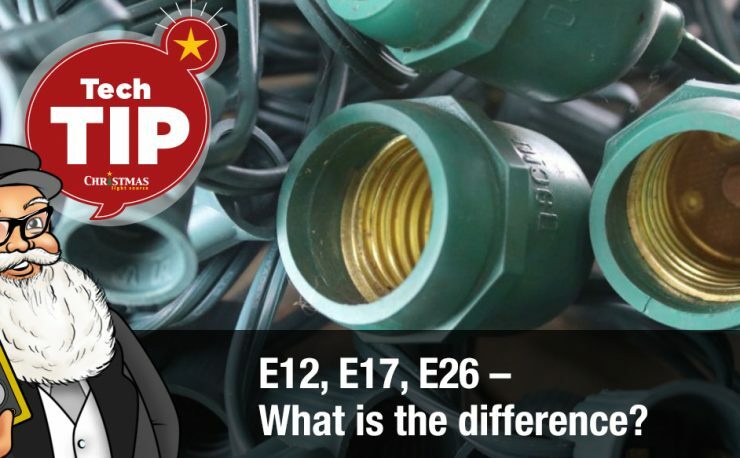 If you hold back a few sets of lights, plug in most of your installation then plug in the rest of your lights a couple of months later, there will be the slightest of variation between them. Most folks who aren’t looking for the difference won’t notice, but this is a good phenomena to keep in mind between the Christmas seasons. Solution: Lay out your Christmas lights in a dark room before installation and group them to see if the variation in color is noticeable. 4. 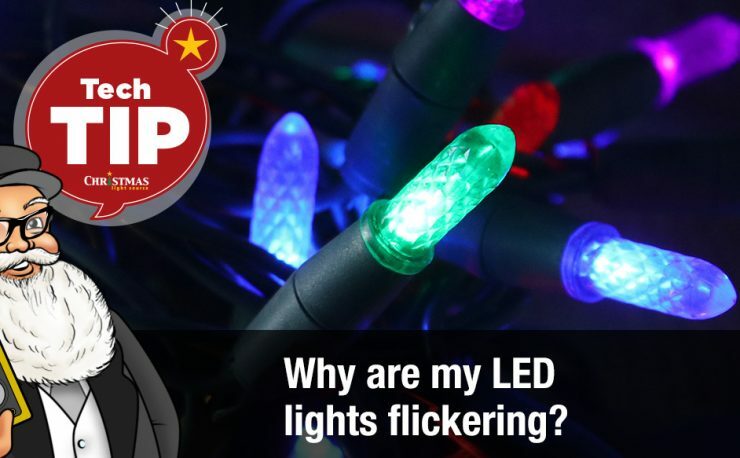 LED Christmas lights are like fine wine, the color can vary from year to year. 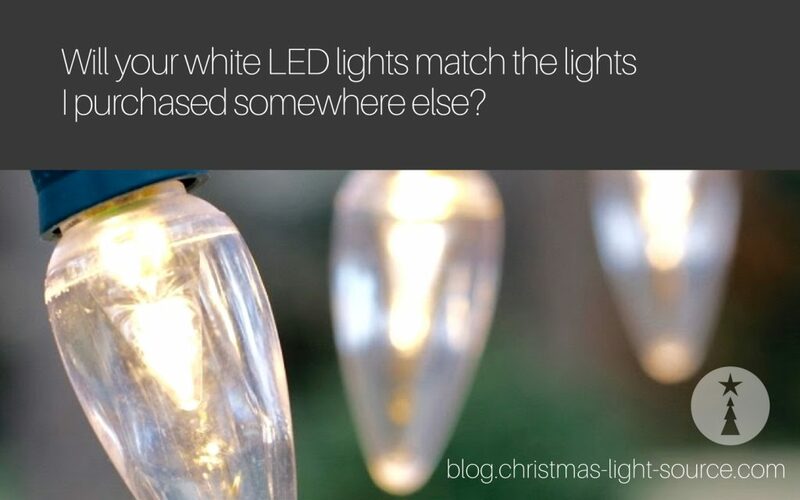 Ultimately, you have to make a choice when you move to white LED Christmas lighting from traditional incandescent. Choose your favorite—warm white or pure white. 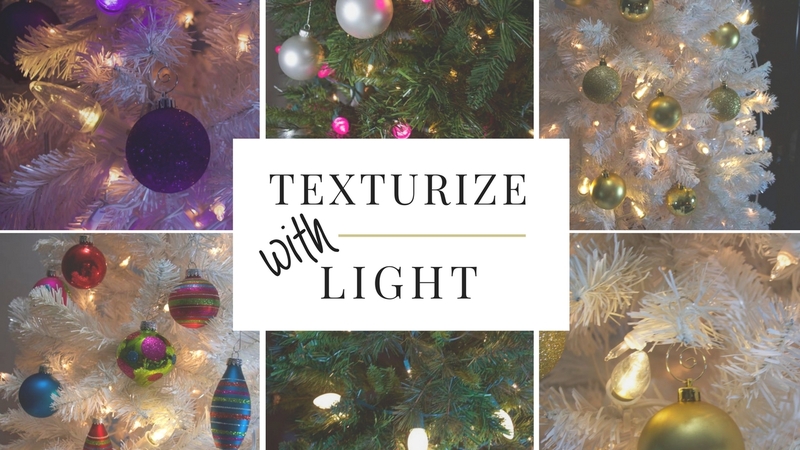 Then, knowing that there may be variations through the years and that light strings won’t necessarily be an exact match between vendors, you can still create a cohesive Christmas light display. 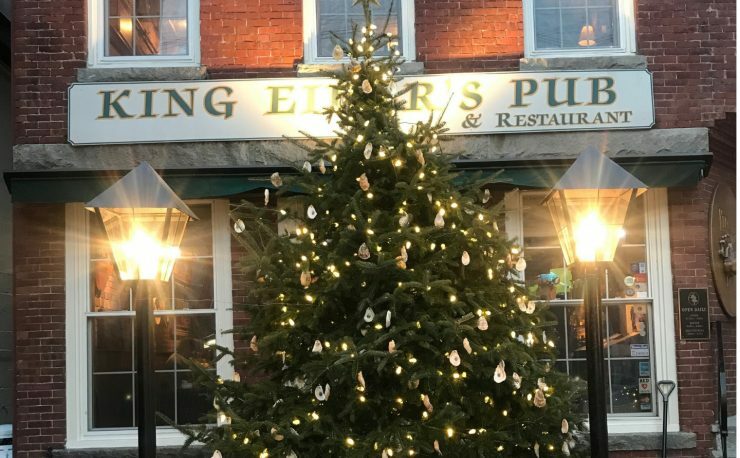 Plug in lights and compare them before installation, grouping similarly colored lights on their own peaks and rooflines. Install the most color consistent sets across the front of your home. 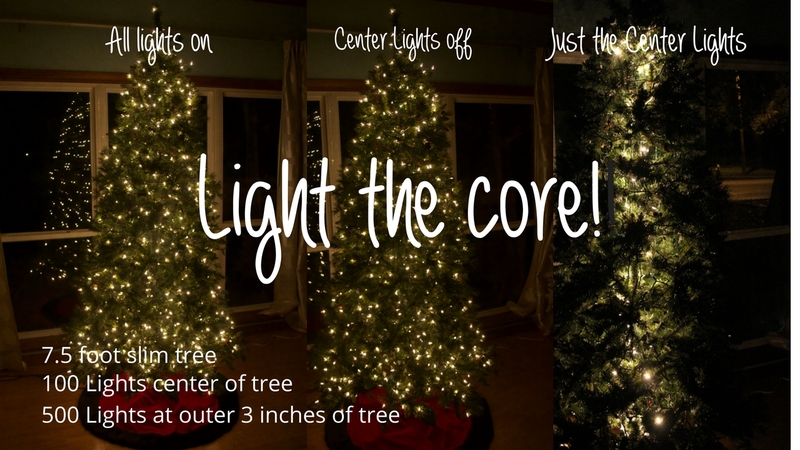 Wrap slightly different lights around the sides and back, or use them on trees and outbuildings. 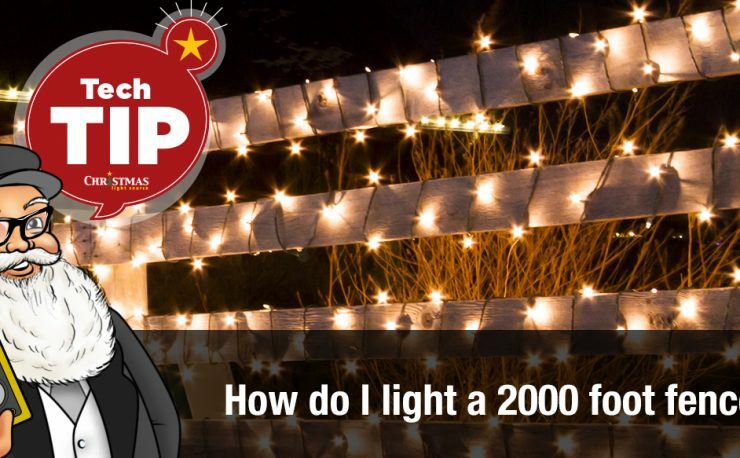 What is LED Burn In?